Stuck for gift ideas? Why not purchase one our gifts that matter and help us to help others. 100% of your contribution is used for the gift you have selected. Choose from our gifts that matter selection below. 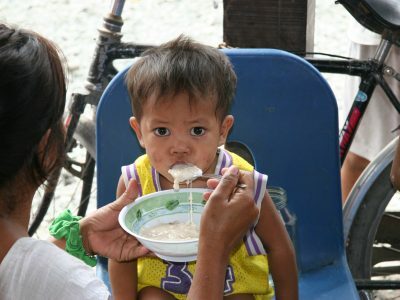 Our community feeding programme helps the most malnourished children and other vulnerable members of the community. PCF aims to provide warm meals from our community kitchen and school lunch boxes to support children attending government run schools. Your gift of food for a child will help us to continue to provide this vital service, as a malnourished child struggles to concentrate, problem solve and interact in class. Christmas is one of the most difficult times for our families as there is no work for the parents and a lot of families spend the Christmas period without any food. 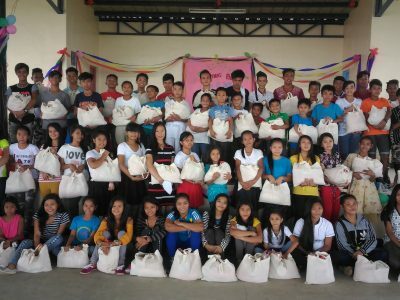 Help us provide a large food parcel for all our beneficiaries and their family this Christmas. The children have a lovely day receiving their Christmas food parcels and it really is one of the highlights of the year. Help us provide a school uniform for every incredible child in education programmes. Having a school uniform enforces the privilege and honour that the children and their parents associate with education. They take special pride in keeping their uniforms clean and tidy. Families are unable to afford basic health care and there is a desperate need for community first aid kits. 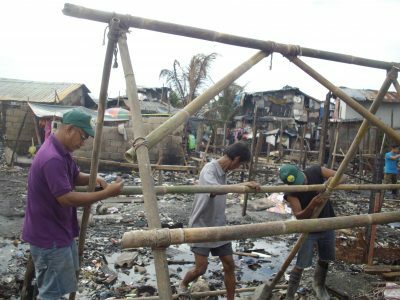 Our communities are living in slums which are a very hazardous environment with potential for accidents and injuries. The unsanitary conditions mean that a basic first aid kit could save a life. PCF run a programme whereby men can access free training under our Back to Work Programme. Your gift will enable the men in our communities to learn a skill and build their self esteem empowering them to help themselves and their families. Help provide training for a dad! The Purple Community Fund runs an amazing project for disadvantaged women from our poverty stricken community. They are taught sewing and textiles skills, making our beautiful handbags and jewellery from upcycled ring pulls. These talented women earn a good living for their families. At PCF we know that the most effective way to change a child’s life is to give them an education. When a child can read, write and add up, they can escape a life of poverty, become self-sustaining and lead an independent life. By sponsoring our community education programme for 6 or 12 months you will be giving our children the priceless opportunity of changing their life permanently for the better. Families live in broken down shanty housing which often need repairs to leaking roofs or damaged walls. This gift will enable PCF to help our communities to offer their families a safer more habitable environment with protection from the elements. 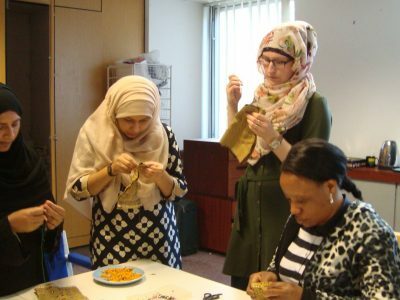 We provide skills training for a group of UK refugees and asylum seekers based in Southampton, which increases their employment opportunities whilst also helping them build a sense of community and self-esteem. Help us to purchase the vital equipment and materials for the continued successes of this project.